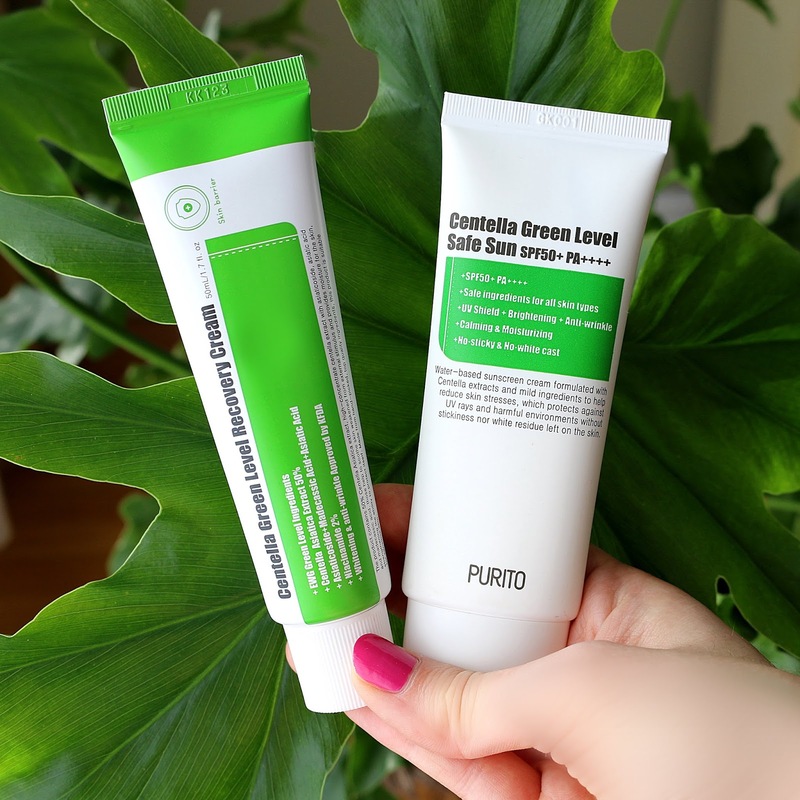 The PURITO Green Level Recovery Cream is a light, non-greasy moisturizer that is packed full of hydrating ingredients and can be used both on the face and body. The base is made out of 50% Centella Asiatica extract, also known as tiger grass, a perennial plant native to the wetlands of Asia and that is made up of Asiaticoside, Madacassic and Asiatic acid. 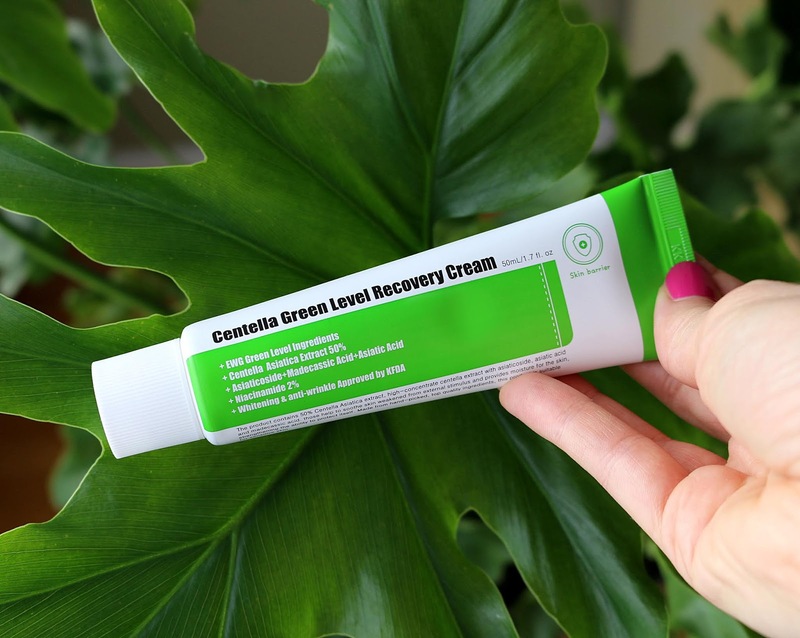 The Recovery Cream also contains a plethora of rich, plant-based ingredients such as squalane, glycerin, 2% niacinamide, macadamia seed oil, shea butter, argan oil, mushroom extract, witch hazel, bergamot fruit oil, and lavender oil, just to name a few. Not only is it great to lock in moisture, but the Recovery Cream also helps whiten the skin, stimulates collagen production, provides an anti-wrinkle defence, helps calm inflamed skin and also helps minimize hyperpigmentation. The scent is very botanical and uplifting, and since it is synthetic-fragrance free, it is especially great for sensitive skin. I enjoy wearing this cream during the day on days when I don't need to step outside and don't have to worry about applying sun protection. 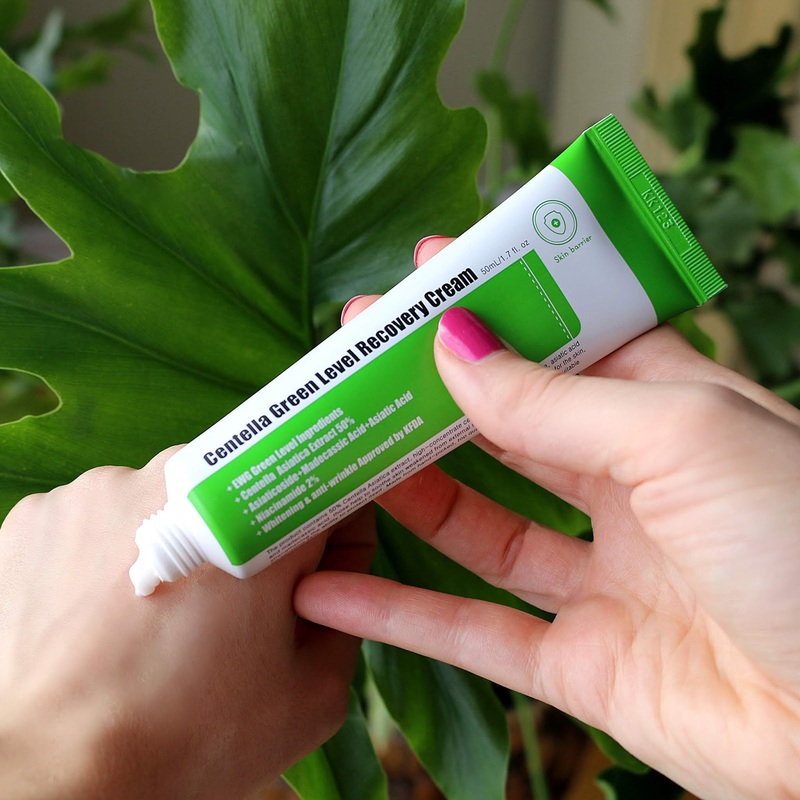 If you are someone who avoids heavy creams but still wants to experience the benefits of a nutrient-rich moisturizer, the Recovery Cream provides just that. 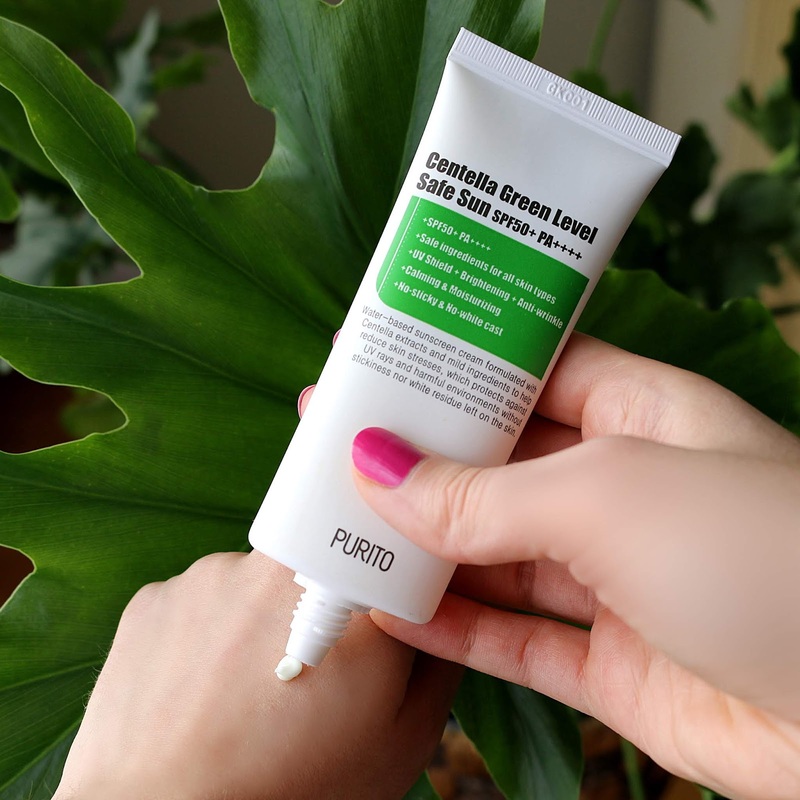 I've also been reaching for the PURITO Centella Green Level Safe Sun on days when I get out of the house, a moisturizer which provides SPF50+ PA++++. The formula is 70% water-based, making it super easy to spread without leaving a white cast or a sticky feeling. Since I often wear makeup when heading out, I appreciate when I can find a daily face lotion that can protect my skin yet not disturb my makeup application, and this one does just that. Safe Sun protects the skin from both UVA and UVB rays while also brightening and reducing the appearance of fine lines and wrinkles. Safe Sun can also be used on both the face and body and, like with any sunscreen, should be reapplied if spending a prolonged time in the sun or following a dip in water to keep the skin protected throughout the day. Once again, this sun protection cream contains the star ingredient, Centella Asiatica extract, as well as glycerin, niacinamide, hyaluronic acid, vitamin E, olive oil, lavender oil, and chamomile flower oil. As we are entering the warmer, sunny time of the year, I know I will be getting a lot of use out of this sunscreen lotion in the coming months. I personally avoid using heavily-scented, greasy sunscreens, and Safe Sun is my definition of the perfect sun protective cream formulation. I love everything PURITO stands for because they are so transparent and put research into ensuring that their products are safe to use for both adults and children. I also appreciate that their skincare line is so affordable for the high-calibre ingredients they formulate their products with. I would highly recommend you try their line, their products truly are top-notch! What do you look for in your ideal skincare line? *Disclaimer: This post was sponsored by PURITO. All thoughts and opinions are my own. Greasy and heavily scented are definitely turn-offs for anything I put on my skin! Affordable is always a plus. I have never heard of this brand before in my life, but it does look like a nice light cream that my skin might really appreciate! Love that it is cruelty free. One of the biggest reasons why I don't use moisturizer is because I feel so greasy afterwards. I might just try this and see if it works for me. I am intrigued by that recovery cream. I would pick that up for sure. My skin is looking pretty rough thanks to the winter. Korea seem to be so far advanced when it comes to skincare they really do make some wonderful products! I could definitely see myself trying these especially the recovery cream. I am so curious about these Korean products. I do not have a regular routine so this is a good cream to start me off. Oh wow, these products actually look pretty good. I would mainly be interested in the moisturizer. Super important for healthy skin! Sunscreen that helps with wrinkles sounds amazing. Are the sunscreen ingredients mineral based? I don't know if I can find this where we live here in the states. Would be worthing trying if it isn't greasy and works well. I.love Korean skincare I have been slacking lately since my face is swollen due to some spring allergy but will definitely get back to it. This looks nice to try out. This is a brand I haven't heard of, but it is appealing. Being it's cruelty-free, I'm automatically intrigued. I can always count on you to show me a new product that I've never heard of. This one sounds awesome. This sounds so luscious and creamy and decadent! I want it! I will have to wait til April as this is a No Buy month in our house! Looks like it has what our skin needs to protect and nourish. My wife would really like this. I'll have to share this with her. Thank you! I've never heard of this before but it sounds wonderful. Thanks for the awesome review! 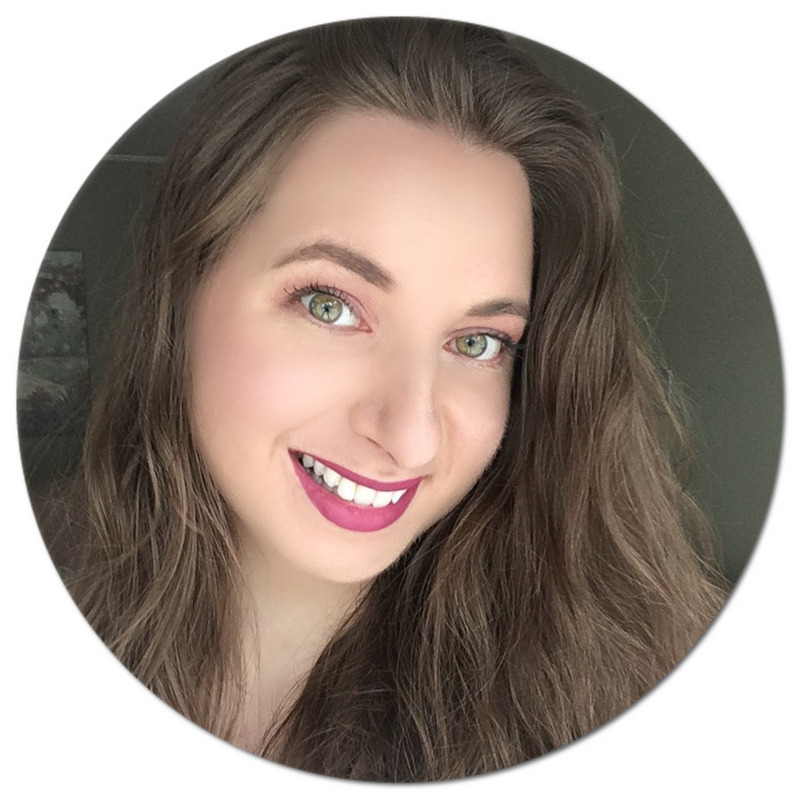 I love finding awesome products that include spf already! I always am looking for new skin care products. I'll have to check this one out. This is fab! I've heard that Korean skin care product are really good. I've got to try this! What's the active sunscreen ingredient? Is it mineral or chemical? Thanks. It seems like a great sun cream that might come in handy while living in South FL. Excited to see it doesn't contain chemicals. Korean Skin care products are getting popular these days because of their good results. I'd definitely check Purito because of its transparent effects. I like that they are cruelty-free! They do sound like they would be very enriching to the skin. My skin would react very well to this. I need to get my hands on some for sure! These products sounds really great for the skin. I love that it's non-greasy and packaging looks cute. I'd never even heard of this brand before you reviewed them. These are products I really want to try. 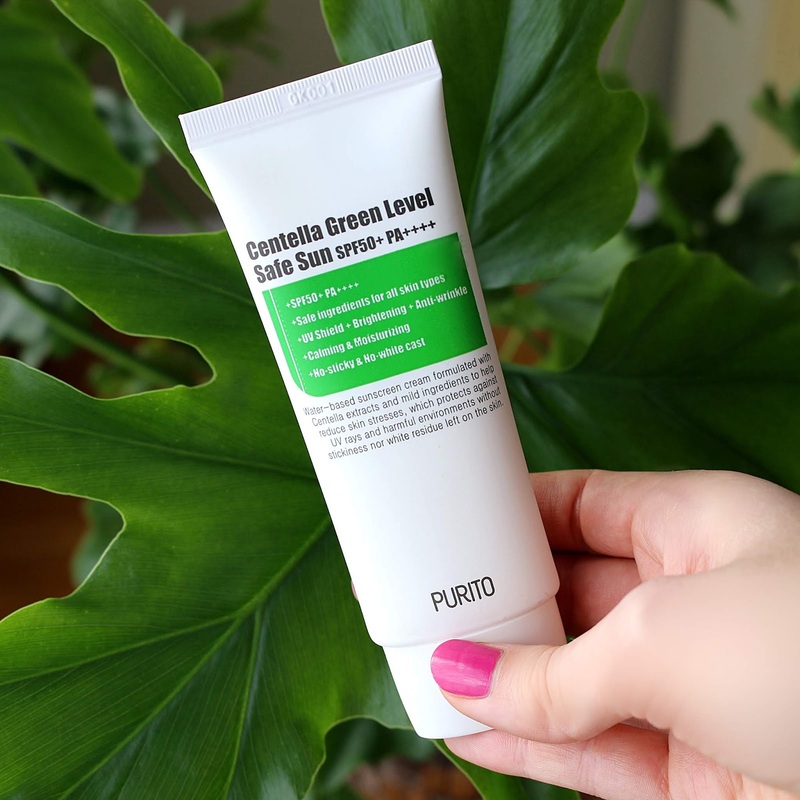 The PURITO Centella Green Level Safe Sun sounds awesome especially having SPF50 in it. I would like to try them. Thanks for the great review. My mom would love the recovery cream to help reduce wrinkles. She is always looking to improve her skin. The product looks promising. I am always intrigue by Korean skin care product. I have not heard of this brand. This is an interesting product. Made from tiger grass and cruelty free. This stuff sounds great , thanks for the review , i will being looking into buying some ! I think I will try some Korean skincare this summer...thanks!